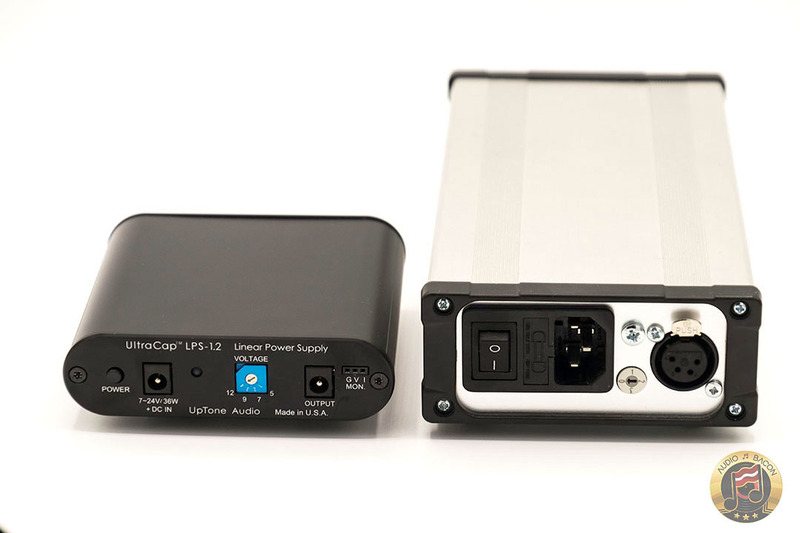 After my Paul Hynes SR4 review, I’ve received weekly requests to audition the new UpTone Audio UltraCap LPS-1.2 power supply ($435). Given the size of our review queue, I wanted to keep it short but my experimental nature and curiosity got the best of me. 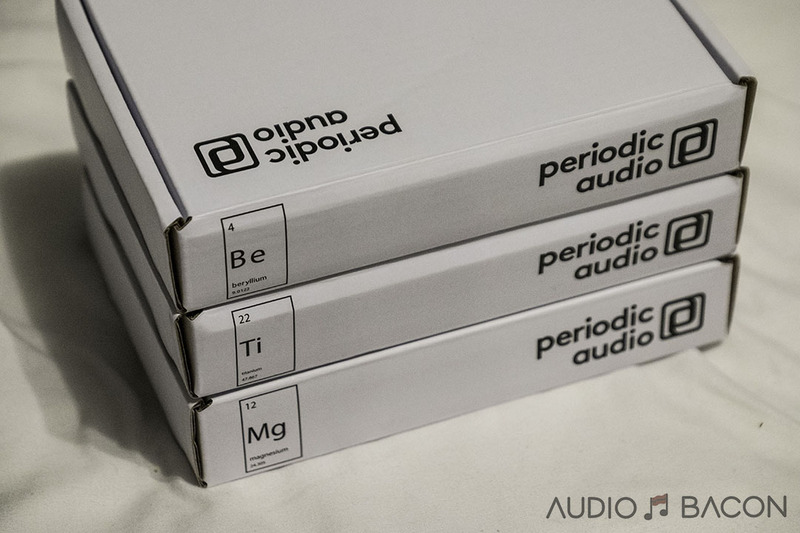 For more information about the new features, design, and changes in the LPS-1.2 – UpTone Audio has done a great job outlining them here. We could talk about design, engineering, and measurements but at the end of the day, it’s mostly about how it sounds. If you want an introduction about linear power supplies, check out my guide here. 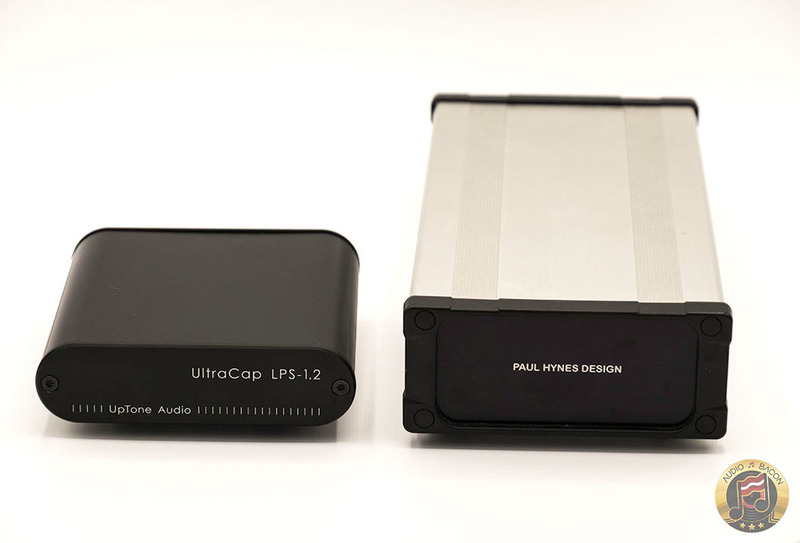 Since readership interest is primarily with how the LPS-1.2 compares to the similarly priced Paul Hynes SR4, that’ll be the focus of this article. Please excuse any technical knowledge gaps and the lack of discussion of mods, grounding, etc. I don’t usually hang around the forums – mostly to avoid any being biased with any preconceptions about a product. I plug stuff in, listen critically, and write notes. That’s Audio Bacon. 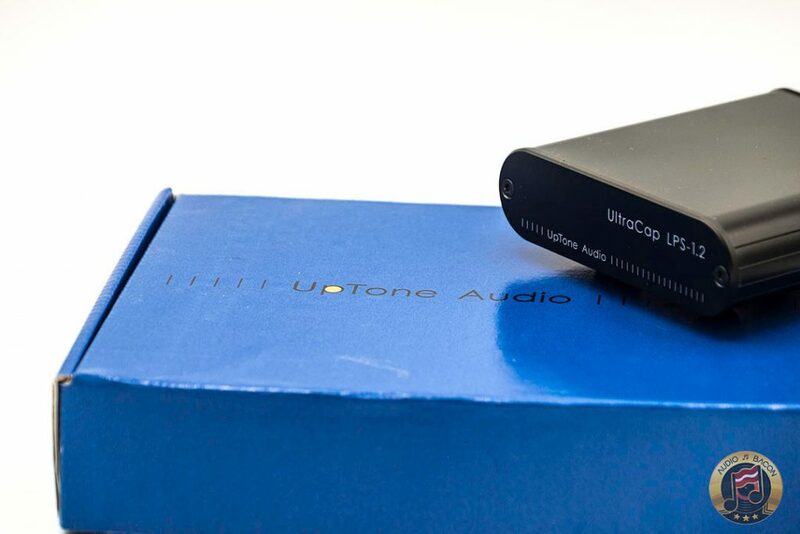 According to UpTone Audio, the LPS-1.2 might sounds better from the wall – rather than being plugged into a power conditioner. As with the original UltraCap LPS-1, the “never-connected” bank alternating design of the LPS-1.2 assures that what happens on the AC side makes zero difference to the DC output of our supply. So plugging the SMPS charging brick into a power conditioner will do nothing. In fact, for technical reasons, it is likely better to plug the SMPS straight into the wall—as it will get a better mains ground. I went ahead and tested the LPS-1.2 with a power conditioner anyway. I also tried different power cords. Although the output voltage was consistent in each case, making these changes did change the sound of the LPS-1.2. The LPS-1.2 sounds fuller and more controlled whereas the SR4 had more bloom and “dullness.” The LPS-1.2 was simply richer and more organic. The SR4 was hazier and more diffused. It is definitely more sensitive to the power cord used with it. 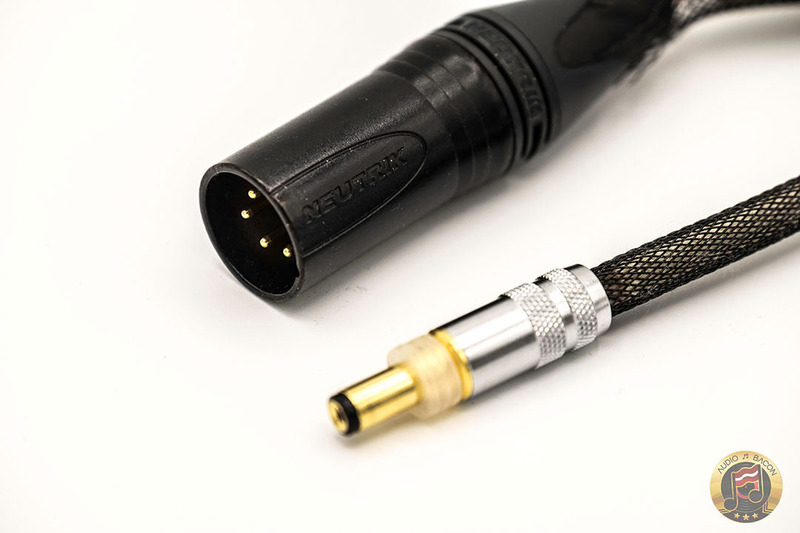 Taking a look at the UpTone Audio branded SMPS, the LPS-1.2 was probably voiced with this generic cable in mind – which makes sense. The LPS-1.2 is the winner here. With the Audience Au24 SX, the SR4 is improved enormously (body, timbre, tone, solidity, dynamics). The SR4 was fuller, smoother, and more spacious. Granted, it’s a ~$4,000 power cord. The LPS-1.2 didn’t seem to like the new power cord as much, it was thinner, edgier, and somewhat flatter. There was just something “off-balance” or “uncomfortable” about using audiophile power cords on the LPS-1.2 – which could be a good thing…for your wallet. In the end, it seems like the LPS-1.2 just didn’t jive with any of the audiophile power cables while the SR4 was able to leverage them very well. The LPS-1.2 has a sweeter and more warmblooded sound. Tonal contrast is also presented very well. Au24 SX: The SR4 throws out a larger image, was fuller and slightly cooler. It still presented better contouring and smoothness over the LPS-1.2 but misses out on tone. In Man of Want by Giant Sand, the guitars glide in with more texture and detail with the HFC CT-1U power cord on the SR4. The guitars “join” in at the right time after the drumming starts. This section is much more confusing and hectic when using the LPS-1.2’s generic cord. The LPS-1.2 isn’t as shaped or detailed but presents a more natural tone, which worked really well for this and other rock recordings. Sonically, there wasn’t a clear winner with this arrangement – but the LPS-1.2 is the much more affordable option. Keep in mind, this is when the supplies plugged into the wall (no conditioner). I’m not sure the LPS-1.2 likes being connected to this conditioner. The tone changes completely (cooler) and mids are more vibrant and spotlighted. However, resolution, imaging, and clarity improved significantly. Bass is tighter but the body is lighter. In some ways, I feel it sounds better with a conditioner but perhaps not how the LPS-1.2 was intended to sound (should be denser and warmer?). The SR4, on the other hand, sounds extraordinary. Quieter, more raw, larger soundstage, more molded instruments and voices, smoother, and an apparent brilliance. Seems like the SR4 benefits heavily from the HFC MC-6 Hemisphere conditioner. In Barbados (Night at the Pawnshop), the SR4 separates out the bandmates with their own space whereas the LPS-1.2 is more blended together. For whatever reason, the LPS-1.2 sounds hazier when it’s connected to the power conditioner. The overall tone is similar between the two (LPS-1.2 slightly warmer) but the SR4 provides more shape and dimension to the music. 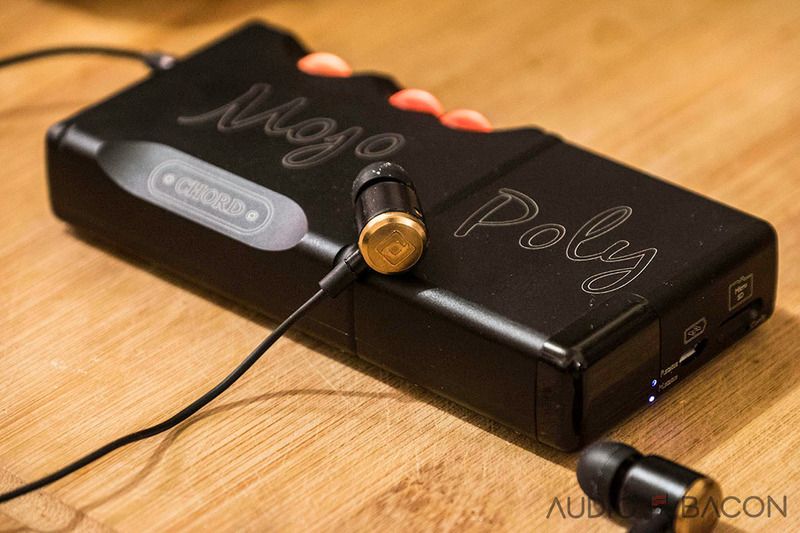 The Vovox Textura (the most affordable power cable in this lineup) was a superb pairing with the SR4. It gave it the right balance of warmth and detail. The other two cables were technically better and gave way to better transparency and texture – but the tone was a little lifted when used with the SR4. The LPS-1.2 doesn’t quite take over the “character” of these power cords. It almost sounds like it’s actually resisting change. When using any power cord other than the stock generic on the LPS-1.2, I hear a more strident midrange and thinner bottom. Plug the generic back in, and it all is good. In regards to duet recordings – female and male vocals are overlayed and harmonized in much smoother fashion on the SR4. There’s more sonic bleeding with the LPS-1.2. With the SR4, the low-end hits your chest with more impact and speed. LPS-1.2 is a little less weighty and the slam isn’t as pronounced but the has nice tonality. The power conditioner is clearly the SR4’s home court. So leaving the LPS-1.2 on the conditioner (with generic power cord) and SR4 on the wall (with the Vovox power cord), the LPS-1.2 sounds clearer and more articulate. The SR4 was a bit fuzzier and confused. However, the tone of the SR4 at the wall was richer and sweeter. Although mostly a wash, the LPS-1.2 sounded comparatively more exquisite and engaging. 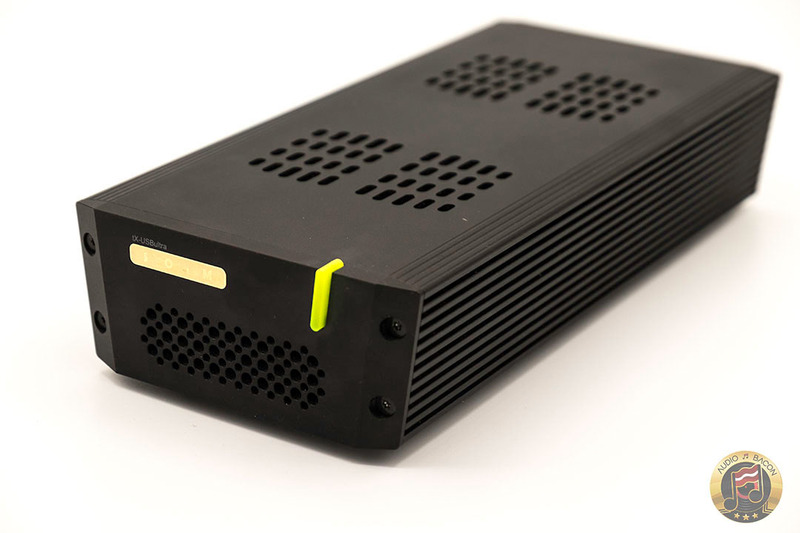 The SR4 surely benefits from some sort of power conditioning – seemingly more than the power cord. Swapping them around puts them in their natural habitats. The LPS-1.2 sounds its best with a generic power cord at the wall. The SR4 sounds best with a better power cord and a power conditioner. It’s important to note, with the Vovox Textura on the SR4 at the conditioner and the LPS-1.2 with a generic power cord at the wall, the SR4 performs better (warmth, tactility, focus, clearer transients, etc) – but at a much higher cost of ($340 + $2,800). As mentioned, the power conditioner does promote more refinement in the LPS-1.2 as well. But I couldn’t find a power cable here that synergized well. In fact, some of the cables were a tad detrimental to the sound. 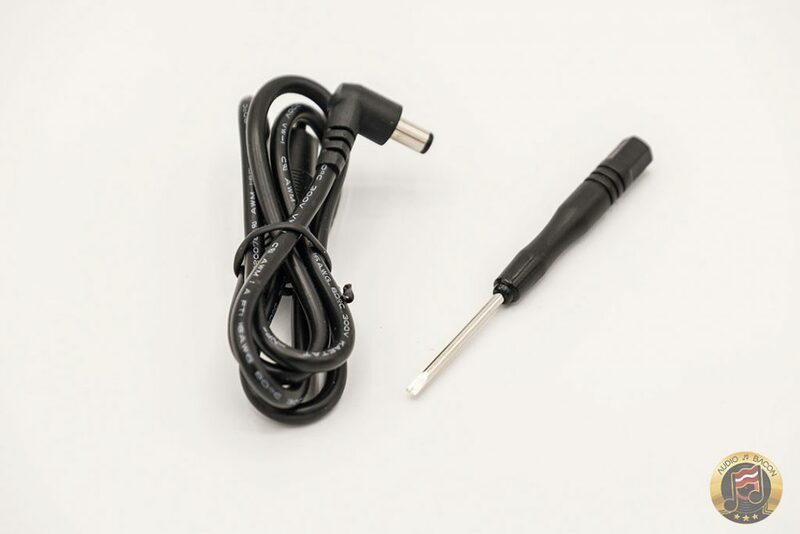 It’s almost as if the LPS-1.2 was designed for use with this generic power cord only. The SR4 seems to be far more sensitive to the power cord. Current owners of the LPS-1.2, if you have any suggestions, please let me know. Most of my testing was done with the SOtM tX-USBultra USB conditioner. 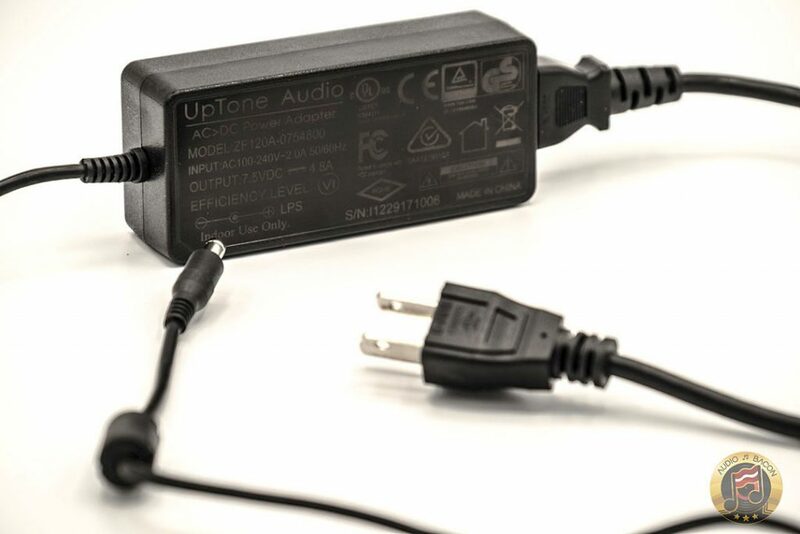 the UpTone Audio UltraCap LPS-1.2 on the wall with the generic power cord. the Paul Hynes SR4 on the MC-6 power conditioner with a High Fidelity Cables CT-1U. 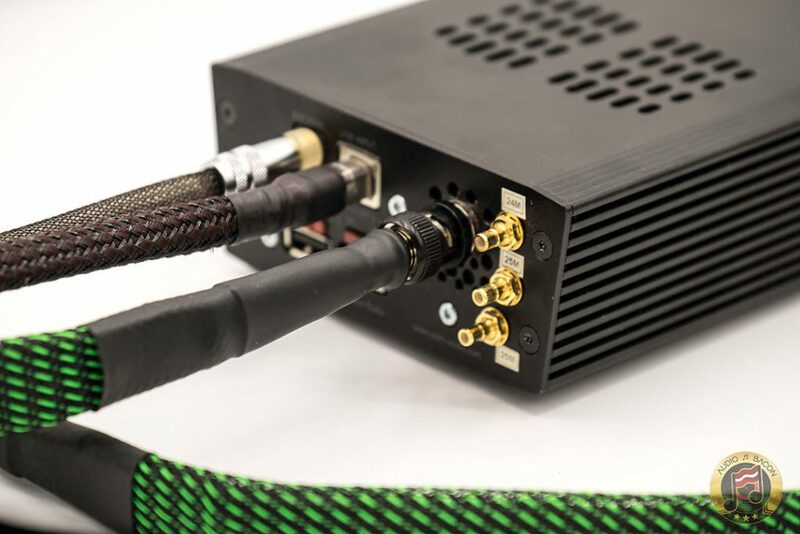 Although the tone was more accurate with the Vovox Textura power cord, I enjoyed the textural presentation of the CT-1U more – so stuck with that for the following impressions. out of curiosity. What’s the logic behind a >$10k source and $1k speakers in your setup?. A the end of the day the speakers are the most important part of a system. ok, maybe as ‘a transition to 2-channel’ you could do another gigantic shoutout of near field monitors, as the new revel M126Be, full ranges, .. just asking ;.). It’s the only logical next step 🙂 I’ll put the Revel on my shortlist. Let me know if there are any other ones. Definitely easier to swap things around and A/B test, but also because that’s where I spend 8+ hours a day working on stuff. We’re in the middle of setting up a few more listening rooms (budget and high-end) so we’ll see how that goes. I have no doubt the LPS-1.2 works well with the ISO Regen. Unfortunately, I no longer have an ISO Regen as I’ve found it no longer improved the sound when it’s attached to the DAC or tX once the Innuos Zenith SE was in. However, it helped a lot with the SOtM Trifecta. While the speakers have an important part in the overall sound, feeding a cheaper speaker with a top class source will always sound better than a cheap source into top class speakers. As for the Uptone LPS 1.2, I plugged mine and ultraRendu into my system today to replace a MacMini. Thanks for the reviews. Was the SR7 plugged into the power conditioner? Digital audio is just SO damned sensitive. I am getting the best SQ at home I have ever had using the ultraRendu, but my system looks like a plate of speghetti! 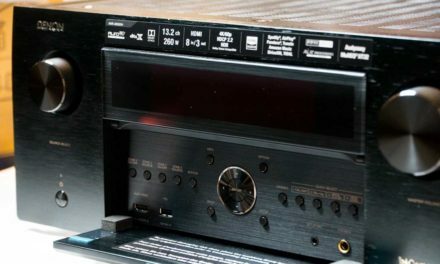 I am VERY tempted by an SR7, but not if I have to use a power conditioner. On the other had a friend is selling his DCS Bridge and IF i sounds as good as the uR it would enable me to rremove two LPSUs and a LOAD of wire – which would be nice. Both are good. I get a bit more ‘air’ with the LPS 1.2 into the uRendu. If you can run at 7V/1A off of the LPS 1.2, try charging it with the SR4 set at 9VDC (w should only get warm to the touch). Best of both worlds? Would also be interested in an Lps powering Lps1.2 scenario however the Sr4 in the above suggestion is not even close to making the lps 1.2 power requirements as has been highly discussed over at CA including Paul’s concerns himself. If you do get around to it please make the suggested 36watt power requirement on the Lps 1.2 rather then introduce another under powering variable. Hi Jay, much appreciated for the reviews ,it’s always a reference for me . 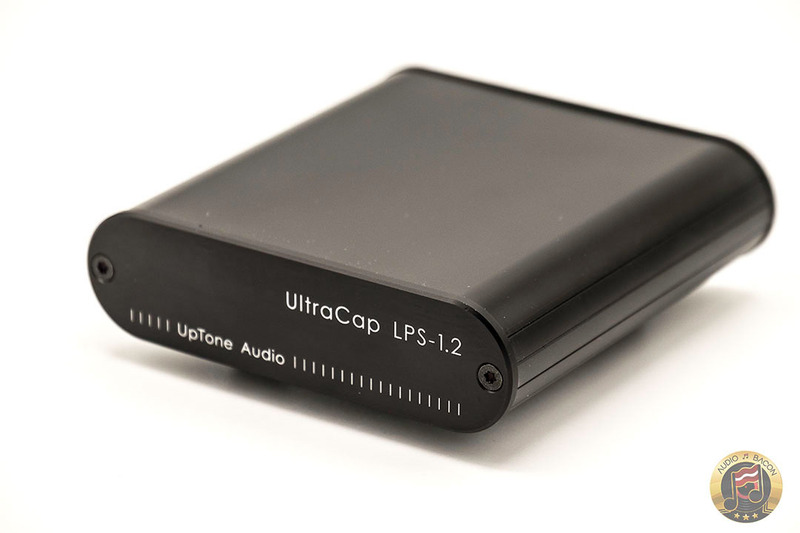 Could you tell me if the UpTone Audio UltraCap LPS-1.2 will work well with Sotm sms-200? Yes, it’ll complement it very well due to its intrinsic tone. Better than the LPS-1. 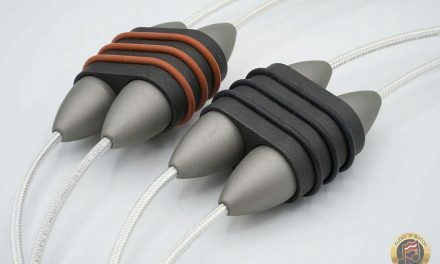 Why did you use the Zenwave DC cable only for the SR4 instead of the Hynes copper one from the earlier review? I prefer the sound of the Neotech 7N copper. Understood. So why not you try Paul’s silver cable? Paul’s use of silver got a “this is the way to go” review at HiFi Pig (SR3, but not sure if it was the cable or internal wiring). In addition, a discussion with Paul will bring out that like you, he is a strong fan of warmth in audio, and makes use of annealed fine silver, which he finds neither bright nor emphasizing the high frequences. Speaking of warmth in tone, I also found one can get a lot more than the Boomslang has to offer with PAD’s Luminous Neptune. And maybe even more again, depending on the application, by adding iFi’s SPDIF iPurifier at the end, fed by a good LPS instead of the stock adapter (the Boomslang also benefitted from this).